Law of Attraction, Meet the Law of Action The Law of Attraction tells us that whatever we focus our attention on, consciously or not, we attract into our lives. Think happy thoughts, enjoy happy experiences. And vice-versa. 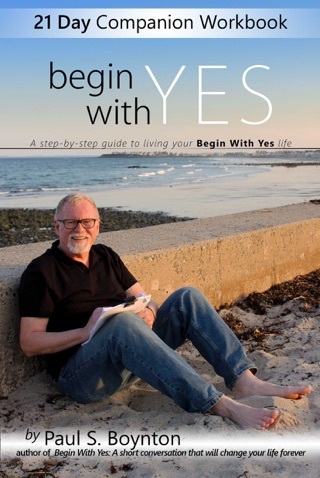 The best selling, "Begin with Yes" introduces the Law of Action, a principle that reverses the order - and is equally powerful: What we do affects how we think, and the kinds of experiences we have. When we take small, manageable steps, we feel more positive and our lives flow more smoothly. 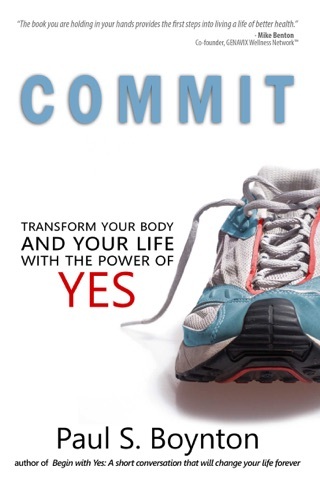 "Begin with Yes" is all about setting things in motion and opening new doors. Getting unstuck. In this short, engaging conversation, counselor, mentor, and motivational speaker Paul Boynton maps out a surprisingly easy, logical, and liberating alternate route to a better life. In short, not only does "Begin with Yes" make change seem possible, it provides concrete examples that show the way. 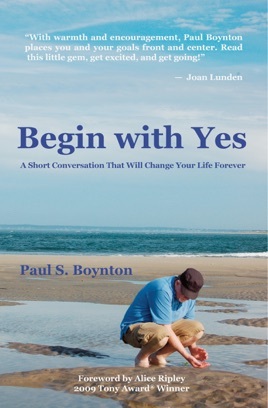 * Joan Lunden - Former host "Good Morning America" writes, "With warmth and encouragement, Paul Boynton places you front and center. Read this little gem, get excited, and get going!" For a long time, getting started, on whatever project was the hardest part. This easy-to-read book completely flips what you've been told about motivation, optimism, tackling a daunting task, whatever it might be. The idea is an optimistic attitude is not required. The authors premise is that action is what gives a person optimism that things can and will get better. Do the action; optimism will follow. I don't know why but this book hit me between the eyes. I read it a week ago and already I have taken care of at least a dozen things that had been languishing for week, months or even years. This book has opened up a hopeful, forward-looking part of mine. Highly recommend! Do an action, optimism will follow.